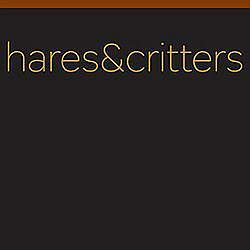 Welcome to the Hares & Critters Gallery on EBSQ. My name is Dawn Barker and I'm a professional artist based in rural Kent, South-East England. I work from a rather chaotic but colourful studio in my home and I've been trading successfully since 2004. My paintings are predominantly watercolour with a particular emphasis on animals - usually hares, cats or dogs. I love painting and I'm very lucky to have such enthusiastic, supportive clients from whom I'm always keen to hear suggestions for new work. I am delighted to take on personal commissions (just email details via dawn@haresandcritters.com) - I can usually turn work around reasonably quickly. I hope you enjoy browsing through my galleries and would like to thank you for the time you spend with us.